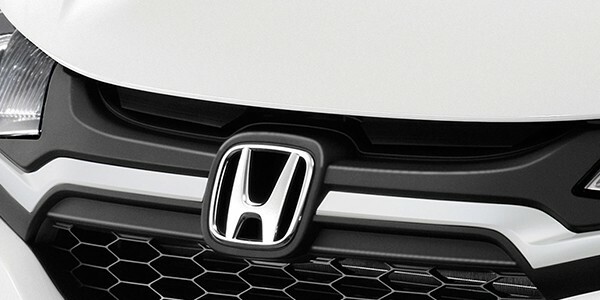 Honda City is acclaimed as best selling Mid Sedan Car in India for over a decade. Honda Amaze has redefined compact Sedan segment with Power Output, Jazz is already known for top notch cabin space in Premium Hatchback Segment. Unlike - Other Segment cars - Honda Recommends Bi-Annual Service Schedule of 6 months or 10000 Kms - whichever earlier. Some of replacement items in Petrol Model - Coolant (Good for 10 Years), Gear Transmission Oil at 60000 Kms or 3 yrs, Fuel Filter at 40000 Kms - has turned to be benchmark in Industry. Honda CR-V any spare parts including dash board and mug holder. I am looking some parts for Honda Jazz 2016 model. I even want to know if I can claim insurance cover, if I buy the parts from your end? I have Honda brio 2013 Petrol model. I am looking for Front Bumper Replacement with Colored Paint (White). What is the price for the same?? I have Honda brio 2013 Petrol model. I am looking for Front Bumper Replacement with Colored Paint (White). What is the price for the same?? please inform me the total amount with specific rate..
i need a honda city type 7 parts front and rear shockabsor -- 2 suspension kit --1 staring ball joint 1 staring end joint --1 breake pad 1 set right side engine guard please inform me the total amount with specific rate.. I have a Honda city 2009 model.In recent servicing the adviser of workshop advised me that brake pads needs to be changed.In how much duration one should change the brake pads? I have Honda brio Nov 2013 Petrol model. I am looking for Brake adjuster but unfortunately it is not available in my area west Delhi. Could you please suggest from where I can get the brake adjuster? Hi, I have Honda brio Nov 2013 Petrol model. I am looking for Brake adjuster but unfortunately it is not available in my area west Delhi. Could you please suggest from where I can get the brake adjuster? What is price of driver window glass and side mirror for honda city 2014 old model? I have a Honda City I-VTEC 2011, my starter self is not working. Could you please tell me the price for a new one?? Hi I have Honda idtec 2018 model. I am looking for front break pads for my car. It’s v model. Idtec - v. Can you please tell me how much it gonna cost me. if car doesn't pull on both gears then you need to replace them, or if they are working fine then its normal by the time it gets hard. I have Honda Brio. (model 2012) The clutch becomes hard. The service center of Honda has asked to replace clutch with Flywheel Assembly also and total cost is Rs. 40000. Please advise on costing, Rs. 40K is very high amount. What is the price of turbocharger of honda amaze s 2013 model .